It is rather surprising and alarming how many people purchase an extended warranty and have absolutely no idea exactly what they’re buying. Either they are so excited about the purchase of the vehicle that they forget to ask or the salesperson or F&I Manager who is selling it to them simply hurried the process along. In either case, this is rather unfortunate. As a trend today, it seems as though those who are most informed on their decision are those who end up buying one online. The decisions that you make regarding your warranty are just as important as those you made choosing your car. Of course, it can be easy to get wrapped up in the excitement of the moment and forget everything you want to ask so don’t hesitate to take a list of question along with you so you are prepared. On the other hand, if the person selling you the warranty dismisses your questions or hurries you along because there are other guests waiting, you need to either find someone else who has the time and is happy to provide you with the information that you need or reschedule so an appropriate amount of time can be dedicated to your concerns. Below are a few questions you should be asking when purchasing a vehicle warranty. What Car Parts are Covered? Not all warranties are created equally. Some will cover only the main components such as the engine, transmission and drivetrain while others will provide bumper-to-bumper coverage. However, if you think everything is covered on the vehicle with a bumper-to-bumper warranty, think again! It will not cover paint, molding, glass, lights, upholstery, tires, shocks, struts and brakes. Make sure that you are educated on exactly what is and is not covered before you make your purchase. Are There Restrictions on Service Work? Some private dealerships offer warranties but the service work has to be done there at their facility for it to be covered. This may be fine for some people who have no intentions of moving or who rarely go out of town. If you are someone who takes an occasional road trip, you will not be happy if your vehicle breaks down somewhere and you learn that repairs are not covered unless you want to pay to tow your vehicle all the way home. 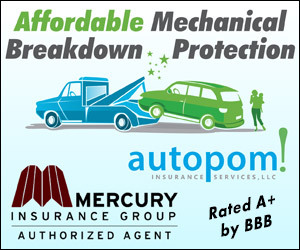 Just like your medical insurance some vehicle warranties will require you to cover up to a certain amount in repairs before their coverage kicks in and takes care of the rest. Do You Have to Pay First and then Get Reimbursed? It is very important that you find out if you will be required to pay for the repairs first and then be sent a reimbursement check. While some people may not see this as an issue, others will have a difficult time coming up with cash to cover an expensive repair and then have to wait to receive the money back. Is the Warranty Transferable or Refundable? If you trade in your car early, you want to be able to receive some money back for the unused portion of the warranty. Alternatively, if you sell the vehicle, you should be able to transfer the warranty into the buyer’s name. Does the Provider Offer a Money Back Guarantee? Some providers will offer a money back guarantee that you will be pleased with their services. If this is important to you, be sure to inquire about it. Does the Warranty Cover a Rental Car or Towing? It is very important that you find out if your warranty covers a loaner or rental car while it’s being fixed or if towing to get it to the service department will be covered or reimbursed. If you are like most, you probably have these services included with your insurance. This means that you can drop these features from your insurance policy and save yourself a bit of money on your premium.